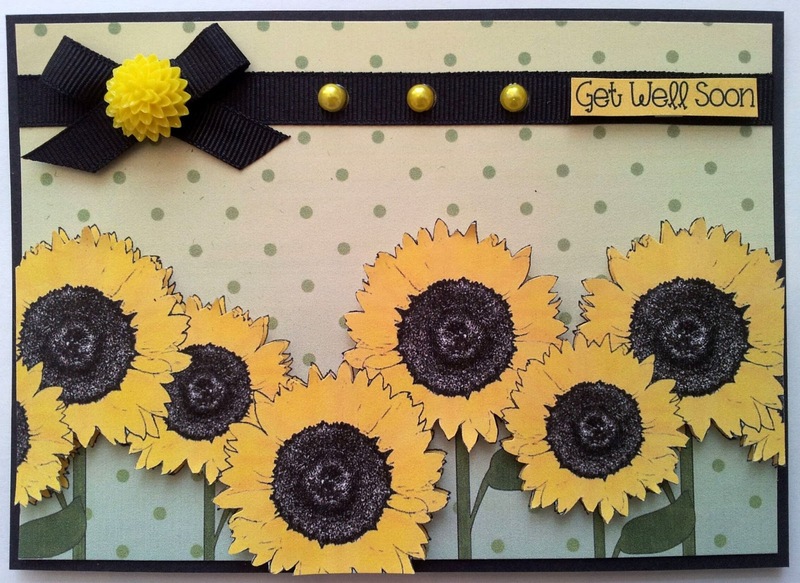 Hello to our lovely readers, Kitty here and today i thought i would share a couple of super simple cards that i made for one of the latest Dreamees Demos at My Mums Craft Shop. I wanted to show beginners that you can create a card using just the cd's and infact you can create them using just a backing paper. These are of course fun and fast to create but also handy to have ready if you miss an event! 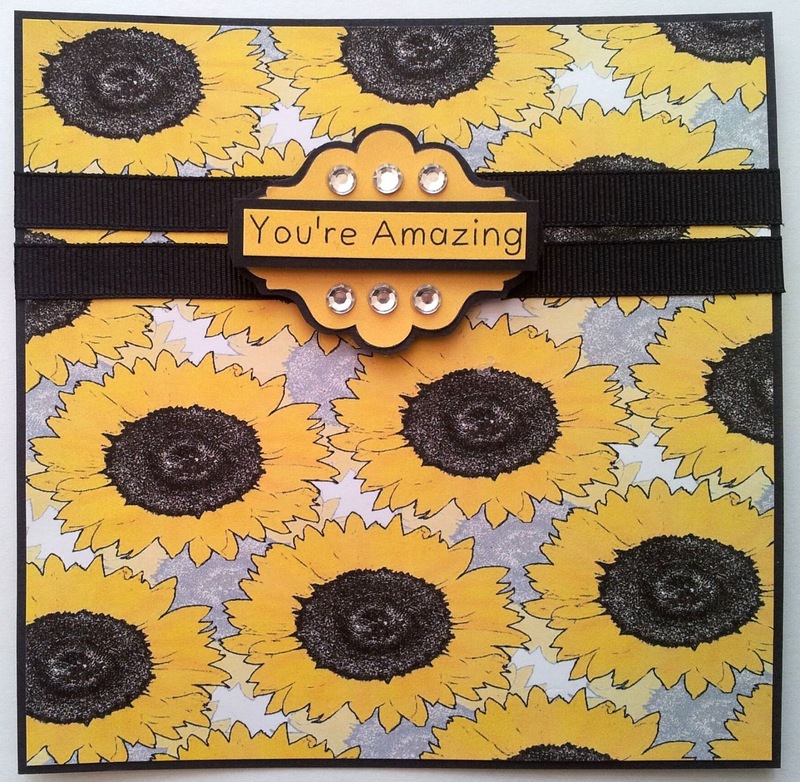 Both these cards were made using the Dreamees Bloomin' Brights CD. All that was added was a bit of black card, rhinestones/pearls, ribbon and a cabochon. 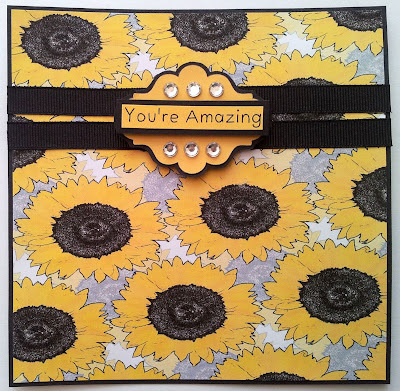 All the sentiment, shapes and papers are all from the Sunflower section of the cd - so it all coordinates.